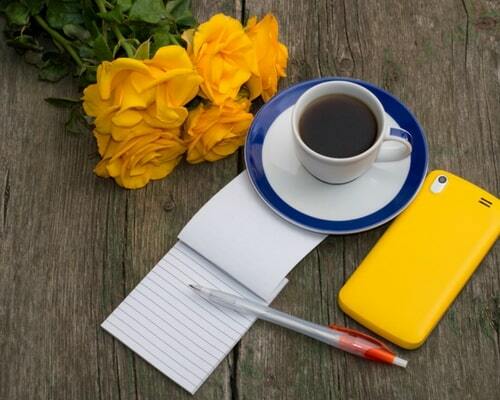 There is a certain luxury that comes with being a Virtual Assistant, with one of the most alluring being the flexibility in time, workload, and income. It is also an ever-evolving field—both a blessing and a curse—thanks to the growth of online entrepreneurship and the expansion of brick and mortar businesses to the online world. So as the market grows, VAs must grow with it; a vital part of this is learning how to structure packages for contracted work to offer your clients. Based on my experience, both as a VA and training new VAs, I’ve developed a simple roadmap to guide you as you grow your business and clientele as a VA. The most important thing to remember is that every path, every person, every job is different. There is no set way that to do things So, use these four tips as guidelines to create packages for your clients. The key to growing a successful VA business is growing the business in a way that fits the lifestyle you’re seeking to establish. Transitioning from a VA working as an hourly assistant towards a specialized contractor with retainer packages should happen naturally. Before you can start creating customized packages for your clients, you must first figure out what type of business you want to create and who you want to serve. What field would you like to be in as a VA? For example, if you have a background in the health industry, you might only want to work with entrepreneurs and businesses within that industry. Would you like to work part-time or full-time? Do you prefer marketing or administrative work? Set overall goals for your business and examine the type of tasks you’re already doing and how you can grow from there. Also, take a look at who your current clients are and decide if you’d like to keep working with that type of client base. If your current clients transition with you as your business grows, be respectful of that loyalty. Long-term clients are valuable; relationships are crucial, so try to take care of those relationships still as you move from a more standard hourly assistant to a specialized assistant. Which brings us to . . .
2. Know How Long the Work Takes You. Most VAs start out working 100% at an hourly rate; this makes the most sense as you’re still figuring out how to market yourself to companies and you don’t yet know how long it will take you to conduct certain tasks. As you grow, however, you can better determine how long certain tasks and jobs will take, which allow you to start developing packages. To do this, you’ll need to figure out how long you spend on jobs. Look back at work you’ve been doing for clients and the amount of time you spent. Use that as a base. Remember that as you continue to work on the same tasks over and over, you get faster and faster. In the long run, basing the work on an hourly rate will start to lose you money. Essentially, you’re being fiscally punished for getting better at your job. Ridiculous, right? Once you’ve mocked up a package for an existing client to transition them from hourly work, present it to them with the understanding that this encompasses the basic work you will be doing for them—social media, blog posts, customer service emails, etc.—and that any additional work will be charged at an hourly rate. You’ll want to start creating packages to offer new clients as well. One of the most mutually beneficial ways to structure this contract for you and your client would be to have the first two months of the contract based on an hourly rate, with the understanding that you’ll get a feel for their needs during that time and then be able to offer them a package rate. Sometimes new clients don’t fully understand how they’ll use your services, so don’t get in a situation where you agreed to do work at one rate but end up doing more, which is why you should be sure to . . .
3. Be Specific About What's Included. If it’s not crystal clear what’s offered in each package, then transitioning your business will be a rough ride. With each new contract you present, go over in detail which of your services they will be receiving for the agreed upon price. You don’t want to be too vague because then you might end up getting work thrown onto the pile that’s causing you to lose time and, therefore, money. A great example of this is Facebook ads. The amount of study and research that goes into creating a Facebook ad before the technical work can ever be done draws upon a lot more of your time than say a Pinterest post. If you’re working for a company that would like for you to promote them across various platforms, then be specific in your contract what each would run. Don’t assign work in generalities, but break down the task in detail so that you don’t find yourself being given more work than you ever planned on completing. If you’re running a team, create a model that would allow each package to ensure you a set percentage while also compensating your team members. This is how you begin to scale your business. 4. Let Your Clientele Change with Your Business. You don’t want to break ties with those who’ve been with you from the beginning. You don’t want to turn away money. While the first is a tough conversation to have, it’s one that is necessary for the future of your business. 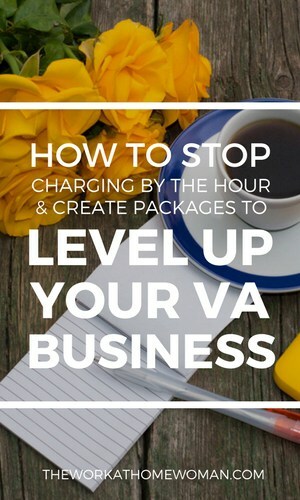 If your first batch of clients are paying you $15 an hour and you want to reach a six-figure income or specialize in a particular industry, then it might be time to face the reality that the clients you were serving as a new VA are no longer the clients you can serve as you level up. Ideally, your client base will grow with you, but it’s still going to require a conversation. Schedule a time to chat with each customer individually where you lay out for them where you are with your business, the skills you have acquired and improved since you started working with them, and the rate you’re charging new clients. Ask them if you can give them a one to two month grace period and then transition them to the new rate. If they agree, then honor that loyalty. Move them from an hourly rate, but try to offer a discount on your packages to reward that loyalty. It can be a tough pill to swallow, but turning away some clients could open you up to make even more money. You can’t serve everyone, and part of the allure of being a contracted VA is that you can choose which clients you take. Moving on from a client or passing on a prospective client who doesn’t fit your model, doesn’t mean you’re giving up revenue. You’re simply setting yourself up to take on people willing to pay higher rates. This can mean weeding out those clients that might just need help with menial tasks and moving on to those that need something more specialized. As you move to contracted work, you might find you take on more one-off jobs, which means resigning contracts every couple of months. This will seem scary at first, but once you’re to a point where you feel comfortable gauging the time and energy that will go into each job, you can better juggle the workload rotation and set yourself up for the amount you’d like to make each month. By remembering these four things—have clear packages, know how long it takes you, be specific about what’s included in your packages, and be open to the reality that as your business shifts your clients will shift—you can grow the business you’ve always dreamed of creating for yourself. Emily Hirsh is a leading Facebook Ad Manager and Sales Funnel Strategist who works with entrepreneurs to grow their business and generate revenue and leads using proven sales funnels and Facebook Ad strategies that work. In addition, Emily has begun helping other women start and grow their businesses as VAs and OBMs through her Virtual Assistant Academy, drawing on her personal experience. Emily’s business grew out of what she learned running marketing and social media efforts for her husband’s online fitness business. As she taught herself how to build landing pages, sales funnels, and Facebook ads, Emily realized she could create a living for herself by helping others do the same. Emily now has multiple successful online businesses and is passionate about helping other entrepreneurs discover the power of running a successful business from home.